Born and raised in lovely Beaumont, Texas, Benlon V. Eaglin (Von) did not know his first name until he attended school. He just assumed it was Von because that’s what everyone called him. The self-described “chubby kid,” Von dedicated himself to sports after the bullies had their go at him – going after soccer, tennis, track, cross-country, powerlifting, and basketball, he excelled in football. (He doesn’t do anything halfway.) He eventually landed at a Tyler Junior College in Tyler, Texas and had the opportunity to play Division 1 football after JUCO. Needless to say, come-from-behind Von believes all people have tremendous potential and that they can strive toward significance, purpose, and meaning within their lives. After receiving a Bachelors of Business Administration, concentration in finance, he completed a year toward an MBA. While doing so, Von served as a Resident Assistant and Hall Director in the Residence Life Department at the University of North Texas. His experience serving, mentoring and leading youth within their transitional stages of life led him to reevaluate his career ambition. 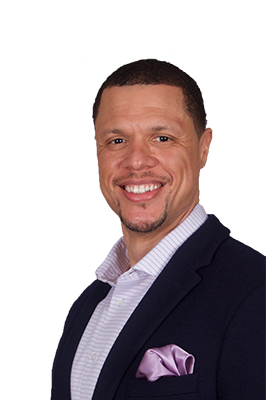 Von decided to become a counselor and graduated with a Master’s in Education from the University of North Texas in 2006. 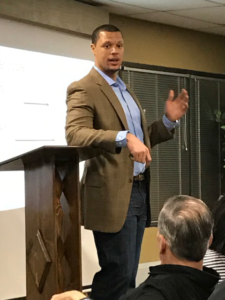 While working toward his licensure, Von worked with physically and sexually abused youth while serving at the Children’s Advocacy Center of Denton County. He then moved into private practice at the Counseling Center of Denton. He has received level 1, 2, & 3 Gottman Method Couple Training and is a certified couple relationship trainer. Von sees a wide range of clients addressing: men’s issues, anger management clients, adolescents, young adults, domestic violence, abuse, depression, anxiety, and addiction clients on occasional. Von also does play therapy with children and parent consultations about their children. His secret superpower, believe it or not, is being an all-around artsy guy. Von discovered this superpower as a thespian in high school, where he received several awards for All-Star cast One-Act play his senior year. While attending Tyler Junior college, the nationally ranked cheerleading team (we’re not kidding) offered him a scholarship (do you know what a Liberty is?) in conjunction with playing football. He met his wife at the University of North Texas by joining her African Dance Ensemble. Now, that’s motivation! His moves and persistence paid off and he married his artistic wife in 2004. In his spare time, Von enjoys cooking, exercise, traveling, attending his wife’s dance concerts, chess, and (of course) watching football. Yes, he will still counsel you if you do not like the Dallas Cowboys. In the midst of all this he began work on his Ph.D. in Counseling at the University of North Texas. He is currently a doctoral candidate and his research focuses on formulating a new approach to couples therapy using men’s groups. Von charges $150 per 50-minute session and works on a sliding scale on a case-by-case basis.